We believe that ultimate satisfaction in life comes from being of service to others, helping those around you and putting a smile on someone’s face. That’s what we do everyday here at Grype! Farhad is the driving force behind Grype. Over 10 years of experience in the web-software industry and an engineering background enable Farhad to deliver unique solutions to clients. Farhad recently received one of the most prestigious business awards, Top Forty under 40, from the Ottawa Business Journal. Niel has a knack for making the complex simple. Whether working with clients to understand desired outcomes or developers to produce useful requirements, Niel stays focused on the big picture so he can deliver the best possible solution and customer experience to his cherished clients. Davit is a high-productivity creative machine. He brings 8 years of web, UX, graphic, and branding design to the table, putting forward compositions that captivate and inspire. Fajlay - as a foresightful technical architect - establishes a technical vision within the development team and works with developers to turn it into reality. Along the way, he takes on traits that other roles may have. Bannya is a Technical Lead with over 5 years of experience in the software industry. Since she wants to be a secret operative, she takes on every challenge as a new mission. She loves programming and enjoys tinkering with new tech tools. 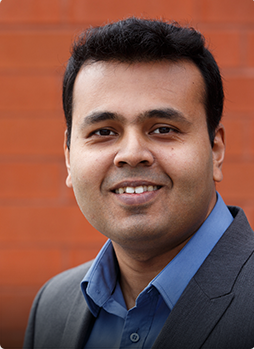 Maruf has over 4 years experience in software engineering and loves taking on new challenges. His deep concern for crafting high-quality work brings value to clients in the form of excellence in the final product. Atai has profound experience in service-based quality. As a software quality analyst, he concentrates on the perfection of service and client satisfaction. Rahat analyzes sources and extrapolates potential leads to grow the pipeline. His main activity at Grype is providing support to the sales effort by providing quality leads at a feverish rate.